AKG offers flexible house wires with Flame Retardant properties. Specially formulated insulation with a high oxygen and temperature index enables the wire to withstand overloads preventing electric mishaps. So give yourself the promise of security & best quality. Get AKG-FR and safeguard your home for life. Suitable for wiring in all types of residential and commercial infrastructure where fire and electrical safety is utmost important. Approval : IS 694 marked. Voltage Grade : Up to and including 1100 V.
Conductor : The conductors, drawn from bright electrolytic grade copper annealed & bunched together. 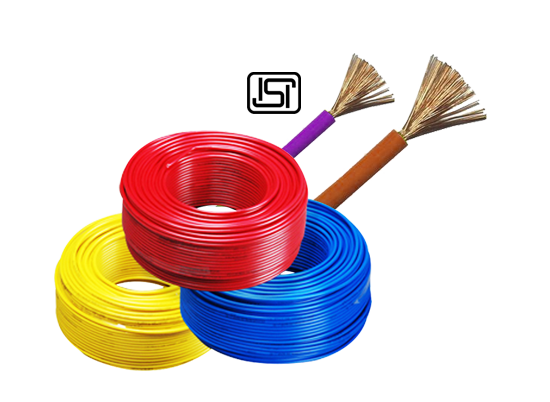 Insulation : The bunched conductors are insulated with specially formulated FR PVC compound with a high insulation resistance value. The insulation process is carried out on modern high speed extrusion lines, which ensures high accuracy & consistency in performance. 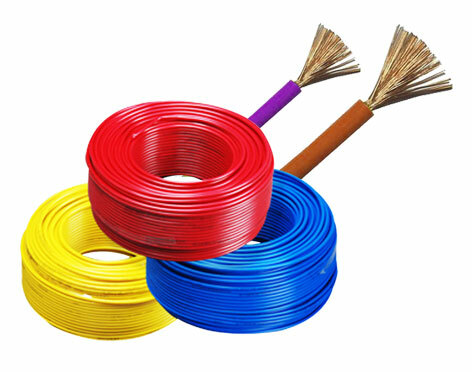 Flame Retardant properties enable the cable to withstand overload. The insulation is resistant to boiling water, steam & vapour. This prevents ageing and cracking in kitchens, bathrooms, damp walls & chemical industries. Colors : Red, Yellow, Blue, Black, Green & Grey. Packing : 90 mtr. Coil is packed in protective cartons. Project packing of 180 mtr also available. Note: Higher sizes of Nominal Cross Sectional Area of Conductor upto 120 sq. mm are also available on request.